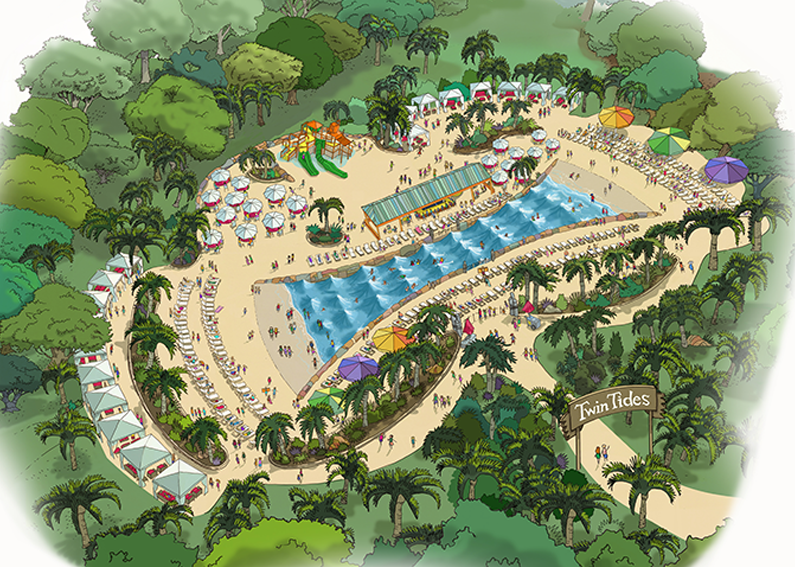 FAST PACED ACTION RIVER RIDE WITH WAVE POOL ENTRY. 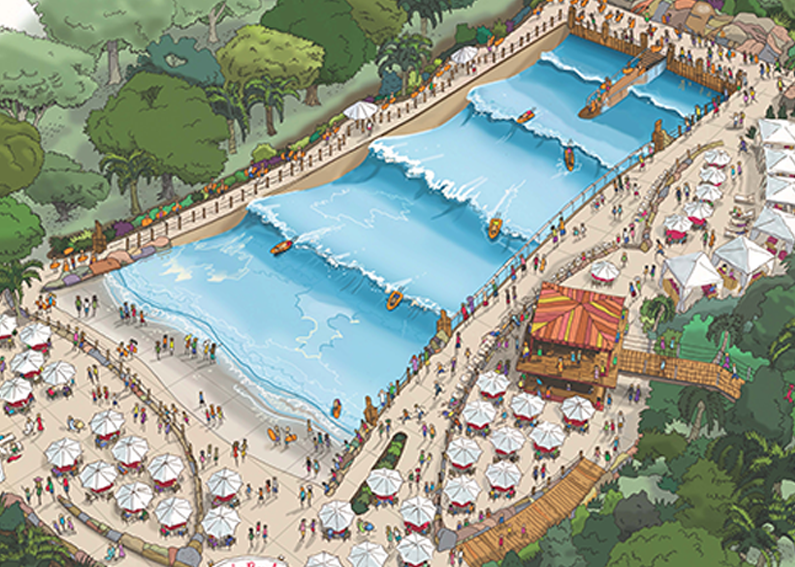 ADG’s Tidal River® was designed to “make the line the ride”. 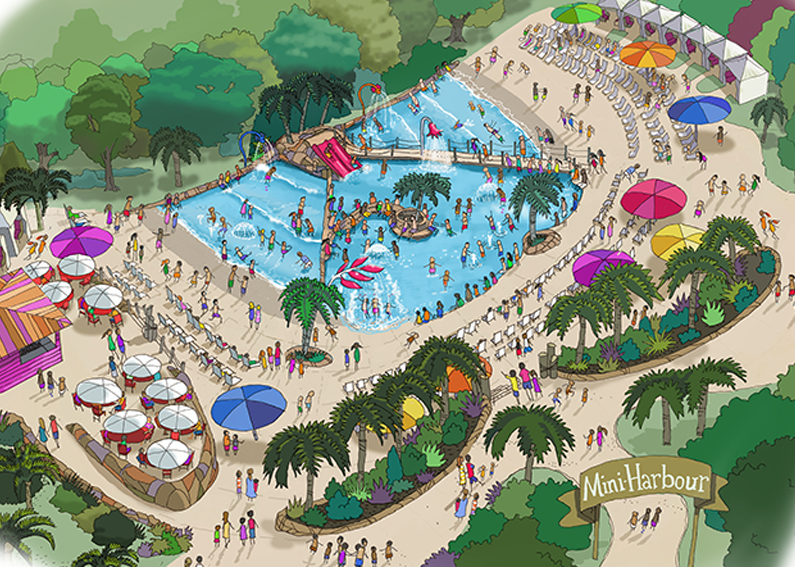 Splash around and ride the waves in the wave pool before heading down into the adventure river channel for a fast-paced, action river experience that provides guests with a tidal wave of fun each and every time! ADG takes river wave technology to a whole new level with Tidal River®. Our unique configuration powers both a zero-depth entry wave pool and a fast paced action river with better efficiency and unequaled wave performance! 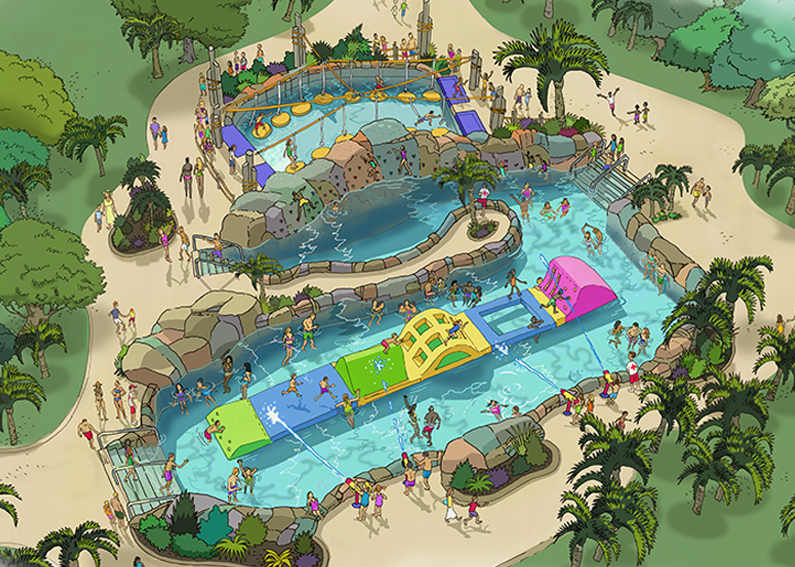 From gentle family recreational waves in the shallow to fast-paced and exciting wave action in the wider pool and river channel, this ride offers something for everyone – from the youngest guest to the most adventurous. Talk about ROI! Every square foot of the design invites guests to stay, play and… spend! 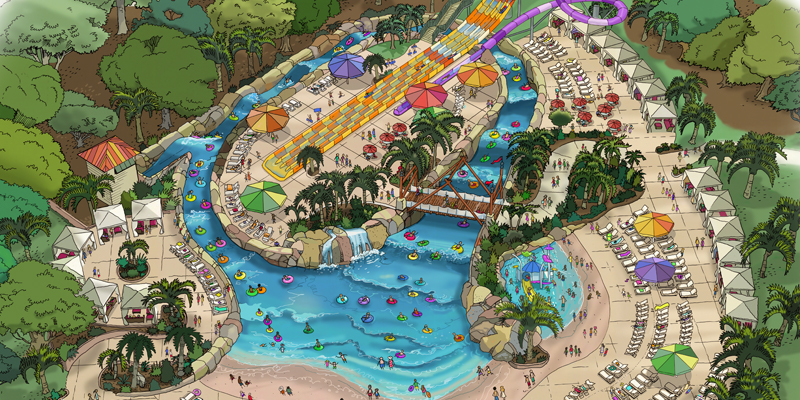 Unlike adding just a slide, ADG’s Tidal River is a complete water park attraction that expands beyond the edge of the pool, incorporating space for cabanas, retail and F&B sales. 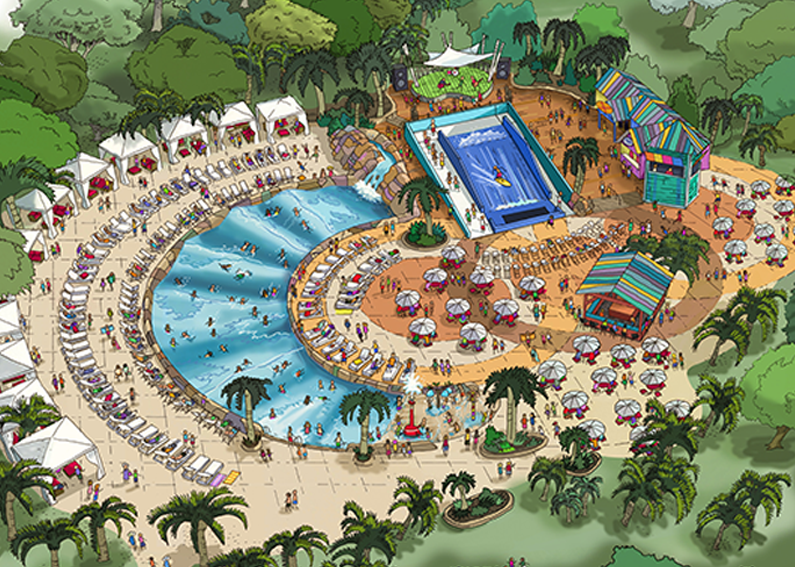 Add on optional water play features like a water slide or play structure into the center of the ride for even more capacity, or plan for its inclusion in a future expansion!